Some of the earliest British and American anti-slavery speakers and writers were members of the Religious Society of Friends, or Quakers. The life and actions of Joseph Sturge exemplified in the nineteenth century the Quaker tradition of anti-slavery that George Fox, founder of the Friends, initiated in the seventeenth. Joseph Sturge was born in Gloucestershire in 1793 and died in Birmingham on May 1, 1859, after a life of radical political action supporting pacifism, working class rights, and the universal emancipation of slaves. Sturge succeeded admirably in pursuing radical goals through measured and diplomatic organisational behaviour. He effectively directed popular protest toward achieving concrete steps in the long process of ending class oppression, whether it took the form of worldwide chattel slavery or wage slavery in Britain. 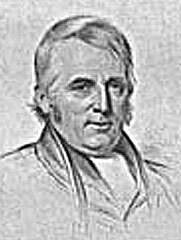 Joseph Sturge joined the abolition movement on his arrival in Birmingham in 1823. He pressed for immediate and full emancipation of slaves in British territories. When the Anti-Slavery Society, founded in 1827, adopted a program for reform rather than immediate abolition, Sturge left the Society and helped to organise an energetic new body in 1831. The Agency Committee went straight to the grass roots, bringing innovative action into the anti-slavery movement. The Committee set up neighbourhood meetings and lectures. It undertook mass leafleting, mass agitation, and the recruitment of women to work as equals in the cause of immediate emancipation (Hobhouse 1919: 34-36). Sturge joined in the international effort to end the slave trade, but he always understood that only full legal emancipation could end slavery itself. In 1838 he founded the British and Foreign Anti-Slavery Society on the principle of immediate worldwide freedom for all slaves (Hobhouse 1919: 89-92; Fladeland 1972: 259-60). His anti-slavery activities rested on wider principles of justice. He joined, for example, the Birmingham Chartists in their demonstrations against the institutionalised misery of the British working class. Chartist leaders in turn learned from the Agency Committee the tactics for rousing popular feeling and protest. Sturge put principle before personal interest when he withdrew from a parliamentary race in order to avoid splitting the radical vote (Hobhouse 1919: 58­60; Fladeland 1982: 69; 84). When the Emancipation Act of 1834 was finally passed in Parliament, Sturge refused to let the 'apprenticeship' provision rest. ('Apprenticeship' was the widely criticised intermediate stage on the route to emancipation chosen by the British government.) Boldly he set out in person, with Thomas Harvey, to investigate apprenticeship on the spot. He and Harvey traveled through the West Indies. Everywhere they went they observed apprenticeship in action and talked directly to apprentices, overseers, stipendiary magistrates, and proprietors. In Antigua, where the local legislature bypassed apprenticeship, Sturge and Harvey found that freed people had achieved a social and economic condition far superior to that of Jamaica, where apprenticeship prolonged the wretchedness of slavery. Their book, The West Indies in 1837 (1838), exposed for a broad public the cruelty and injustice of apprenticeship. While he was in Jamaica, Sturge helped found the Jamaican free village of Sturgetown. He brought to London a Jamaican apprentice, James Williams, who described in his own words the brutality of his apprentice life (Williams, 2001). Williams's story touched his audiences and stirred up agitation against apprenticeship. Sturge used what we now call field research in order to demonstrate his hypothesis about apprenticeship. This research strategy, combined with his unflagging protest activity, succeeded in shortening the period of apprenticeship by a full two years. Fifteen months after Sturge¹s West Indian trip, nearly 800,000 men and women held in apprenticeship became fully free (Fladeland 1972:249; Hobhouse 1919:42-3). In June 1840, Sturge organised the World¹s Anti-Slavery Convention in London. He skillfully managed to sidestep a fight over women¹s participation that threatened to wreck the congress, and gained his two main objectives. First, the congress delegates agreed on international action to persuade churches to bar slaveholders from membership. Second, they agreed to lobby governments for tariffs and to organise boycotts aimed at keeping slave-made products out of the market. Thousands of British households refused to buy sugar or use cotton clothing, and high sugar import duties were imposed, yet neither of these achievements ended world slavery (Tyrrell 106-111). Sturge was correct in his understanding that slavery could be ended only by universal emancipation legislation. An important consequence of the convention was Sturge¹s trip to the United States in 1841. The American anti-slavery movement had allowed itself to splinter over the issues of women's participation and the inclusion of deists and Unitarians. Sturge worked to bypass the quarrels and instigate unified action. He also tried to bring to United States President Tyler a message from the British and Foreign Anti-Slavery Society. When Tyler rebuffed him, Sturge published his outrage far and wide in anti-slavery manifestoes that appeared in newspapers everywhere. He sent his protest against the pro-slavery Tyler to every member of Congress, to American abolitionists, and to the president himself (Fladeland 1972:281-282). He continued to use his field research and grassroots methods in the United States. He traveled everywhere to meetings, lectures, and churches, urging international cooperation toward gaining immediate slave emancipation. He went straight to slave-dealers and slaveholders and presented them with anti-slavery arguments based on political and economic expedience, such as Harriet Martineau had used. He assailed newspaper editors and political leaders with the same arguments (Sturge 1842). The wellspring of his own anti-slavery activism was nevertheless moral and religious. His foundational convictions he expressed in a letter addressed to all 'Friends of Immediate Emancipation in the United States.' He urged unity among all who regard 'slave-holding and slave-trading as a heinous sin in the sight of God,' as well as a cessation of 'sectional jealousy and national hostility' (159). He also urged 'public reprobation' against slaveholders. Finally, he argued that 'there is no reasonable hope of abolishing the slave-trade; but, by the abolition of slavery' to be undertaken by 'moral, religious, and pacific' means (160). Throughout his American journey he persisted doggedly in his efforts to move public feeling, even in the face of pro-slavery churches and a hostile pro-slavery federal government (163). Sturge pressed the free states to gain control of the federal government and to end the advantages slaveholders got from their 'investiture with political rights, in proportion to the amount of their slave property' (Sturge (1842:179-80). He excoriated the 'leading denominations' for their 'monstrous assertion that slavery is a christian institution resting on scriptural basis,' an assertion he documented with written church statements (183-6). Sturge worked tirelessly to organise popular action, even after seeing mass economic sanctions and boycotts fail. But he continued to trust the impact of altered individual feelings and ideologies. He put faith in the moral force of religion. 'Light and darkness, truth and falsehood, are not more in opposition than christianity and slavery' (Sturge 1842:179). Fladeland, Betty, '"Our Cause Being One and the Same": Abolitionists and Chartism', in Slavery and British Society, 1776-1846, ed. James Walvin (Baton Rouge: Louisiana State University Press, 1982), pp. 69-99. The website of Sturgetown, Jamaica - a 'free village' established in 1840 and named after Sturge. Riva Berleant Ph.D., is Professor of Anthropology (emerita) in the Department of Anthropology at the University of Connecticut. She has published several books and articles relating to plantations, slavery, the Caribbean region, and missionization.